Concordia’s hockey teams have been quite underwhelming over the past decade. With losing records and early playoff exits—if they made the playoffs at all—neither team has been particularly inspiring. However, in the past two years, both men’s and women’s teams have undergone an overhaul, from the coaching staff to the players, and the changes are starting to yield positive results. Here’s a look at the teams now that they have passed the halfway mark of their seasons. At this time last year, the Stingers boasted a losing record with seven wins and 11 losses in 17 games. By the end of the season, they placed seventh out of nine teams in the East Division of the Ontario University Athletics conference. Battling for a playoff spot for most of the year, they lost in the first round against their archrivals, the McGill Redmen. Fast-forward to this year and head coach Marc-Andre Element’s Stingers look like a brand new team. With 14 wins and five losses in 19 games, the Stingers are locked in a tight race for first-place in their division as they ride a five game winning streak. 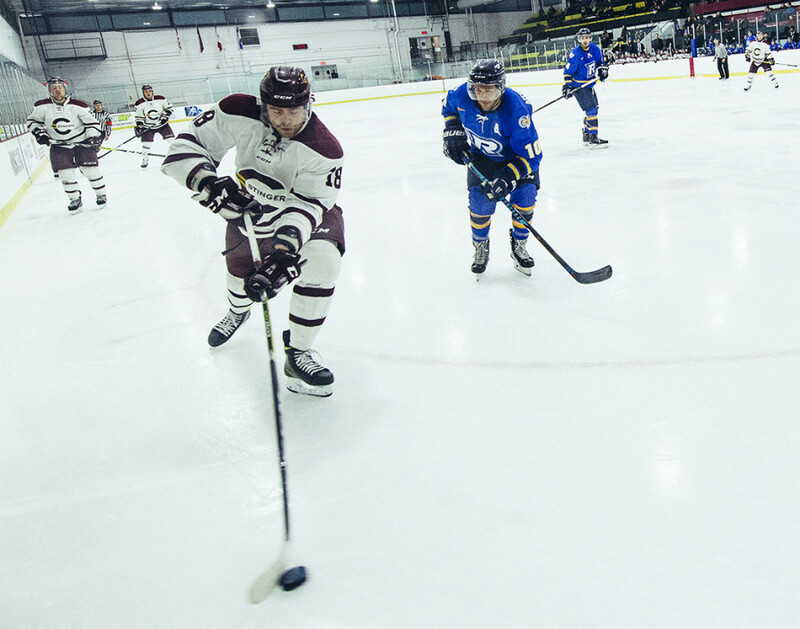 Since returning from winter break, they have defeated the Royal Military College Paladins, the University of Toronto Varsity Blues and the Ryerson Rams, outscoring their opponents 16 to six in that span. They’ve extended their win-streak to five. At 28 points, Concordia is only two points behind McGill and have cracked the USports top ten teams. “In my five years, it’s the best beginning of year that I’ve ever had,” said captain Olivier Hinse. How did the team change so drastically in a short amount of time? Element, who is now in his first full year of coaching, recruited 14 new players this season and has instilled a new winning attitude in his team. The coach wanted to work on the team from the ground up—his main priority being goaltending and defense. “I don’t know how long [it’s been] since Concordia was in the top three. That’s our main goal. Then we’ll set more goals for the playoffs.” —Men’s hockey head coach Marc-Andre Element. The Stingers sport a young defensive corps with four first-year players, such as Matthieu Desautels and Anthony Gingras, along with two players returning from last year. Right behind them is rookie goaltender Philippe Cadorette, who has started in 16 games. Having allowed an average of 2.60 goals per game, coupled with his .916 save percentage, the Stingers opponents have only scored 47 goals against them, placing them eighth out of 35 teams. They are on pace to allow 69 goals by the end of the season—a drastic change from the 112 goals let in by the end of last season. The Stingers’ offence has also been on fire since the beginning of the season. Newcomers Anthony De Luca and Philippe Sanche are first and third in scoring on the team respectively with 28 and 20 points. However, offensive contributions have been coming from everyone. There are currently eight players with ten points and more. On average, the Stingers score 4.16 goal per game, making them second best in the entire league. Both Element and Hinse want the team to finish in the top three of their division. 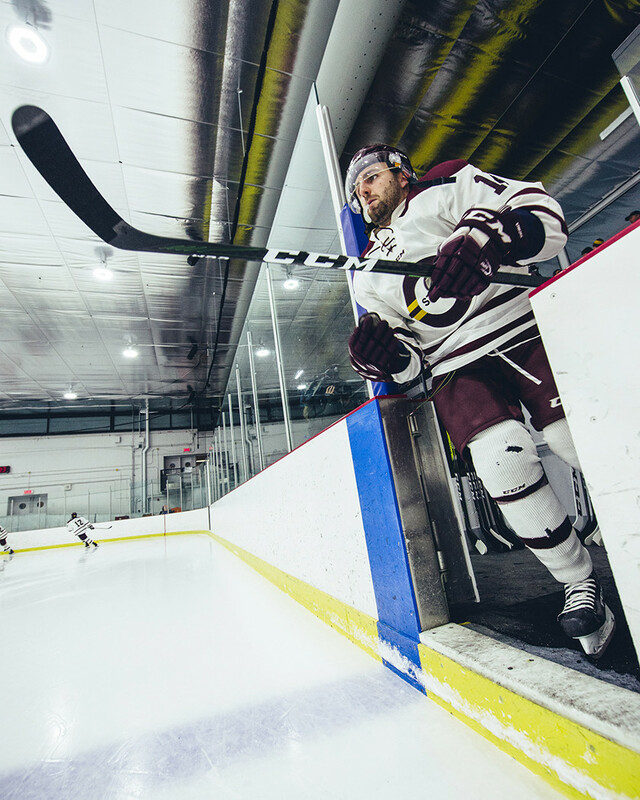 The Stingers men’s hockey team will be looking to extend its current five-game win streak this week when they pay visit to Waterloo and Laurier on Jan. 13 and Jan. 14 respectively. 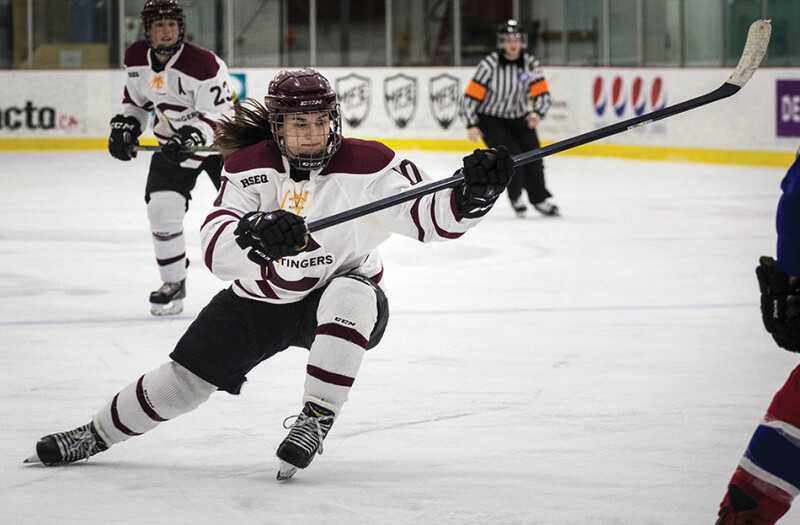 With several important veteran departures—most notably former captain Erica Porter—the Concordia Stingers women’s hockey team is going through a transition period. With four wins and seven losses into the season, head coach Julie Chu believes her team is picking up the pace going into the second half of the year, after winning two of three non-competition games in the Theresa Humes Tournament over the holidays. 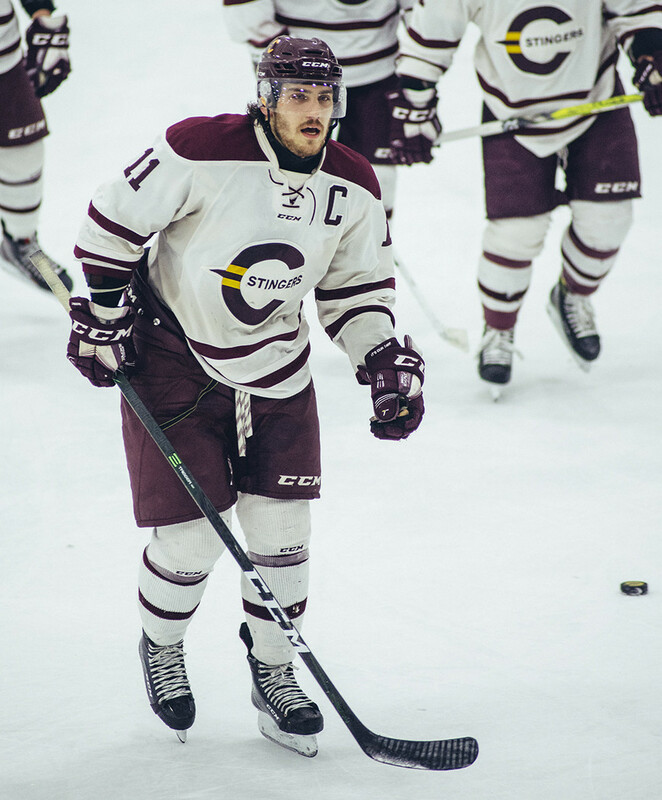 Concordia also won its first game of 2017, shutting out the Ottawa Gee-Gees 3-0. Last year, the women’s team sported a similar record with three wins and seven losses at this point in the season. While there is a slight improvement on paper, Chu is so far satisfied with her team’s growth over the past few months but knows that the mental side of the game still needs improvement. Indeed, going through a three-game and four-game losing streak in the span of two months takes its toll. Most of the team’s losses were against the McGill Martlets and the Université de Montréal Carabins, who both rank first and second respectively in the Réseau Sports Étudiant du Québec. During those losing streaks, the Stingers let their opponents score a total of 25 goals, countering with only 11 goals. It would be easy to blame goaltender Katherine Purchase, who has started in ten of the 11 games, for not stopping enough pucks. But at the end of the day, it is a team effort. The team’s losing record does not reflect the Stingers overall outlook on their team. With leadership coming from many players, Chu believes that the team is in the midst of setting a solid foundation from which to work for the remainder of the season and beyond. After Erica Porter’s departure, fifth-year player Tracy-Ann Lavigne was given the captaincy at the beginning of the season and has assumed the new role effortlessly. Lavigne is joined by veterans Marie-Joëlle Allard, Carol-Ann Gagné and Valerie Wade as some of the team’s leaders. While each player has something different to offer, the head coach believes that having diversity in leadership enables the Stingers to be a well-rounded team. Much of the Stingers offensive contributions have come from their younger players, like second-year forward Claudia Dubois, who’s scored seven goals and three assists. Coach Chu couldn’t help but say good things about her. Other forwards that have stepped up to the plate have been recruits Audrey Belzile, Stéphanie Lalancette, and Marie-Pascale Bernier. The first two are tied for second on the team with nine points. Meanwhile, Bernier has scored four goals but has impressed Chu with her style of play. Going into the second part of the season, the Stingers are looking to find more success against McGill and UdeM, who they will face four more times before the end of the season. Gaining more confidence and believing that they can defeat them is the next step towards success for Chu’s Stingers.